What do I mean by “a well-written website”? Great copy (words on your website pages) is different from the great writing you might have done in grad school or in articles you’ve written since. Website copy works differently from other kinds of writing. We read quickly online. Rather than taking in every word patiently, we tend to scan and judge. Your website copy needs to communicate some important things to your potential clients in just a few seconds. What pages on your site matter most? Your Home page and your About page are often the first two pages your potential clients will visit. A visitor lands on your Home page, and if they like what they see, they click over to your About page. What they find there will help them decide what to do next. Is your About page helping your ideal clients decide to call you? Or are they clicking away to another site? I’ve created a brand-new free training for you to help you make it better and more effective. Grab my video and worksheet for step-by-step instructions. 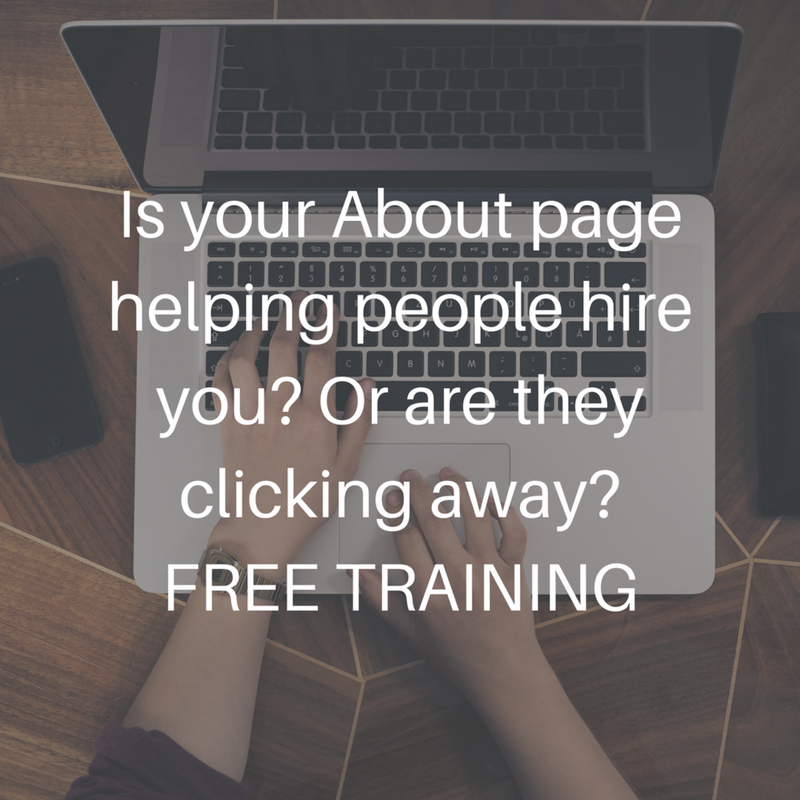 I’ll teach you how to use your Superpowers (the things that set you apart from other therapists) to make your About Page more effective. Create effective language that reaches your potential clients. Decide what to include and what to leave out of your bio. Articulate why you’re the right therapist for your ideal client. Edit out some common mistakes. Grab it below and let me know how it goes. Older PostGot A Goal To Grow Your Practice This Year? Let's Get Real.